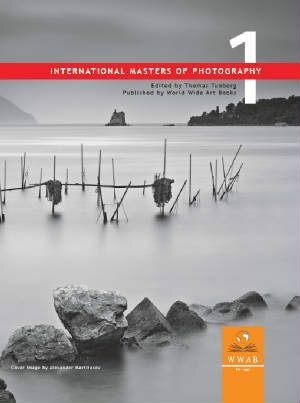 The purpose of International Masters of Photography is to produce a chronicle of what is happening in the art of photography all over the world, by featuring the work of noteworthy photographers representing as many genres as possible. It would have been easy to confine ourselves only to established photographers, but to do so would have been to miss much of the vital pulse of an art that is expanding and literally recreating itself before our eyes. Much of what is really new and exciting is coming from young, unknown photographers, members of a globalized and well connected world-wide community. Very much enabled by the internet and the rapid development of communication technologies, people from every corner of the global village, are not only gaining more access to information and new processes, but we all are enabled to share our discoveries in a primarily visual manner. We see this as an exciting and positive development, and hope that our book and this show provide wider exposure to this contemporary phenomenon. It has been our approach to be as broad and inclusive as possible in our selection while maintaining rigorous standards of quality. We believe that the element of magic in any anthology of art is its broadness and variety, and we want to include the whole world with a faithful cross-section of this beautiful and dynamic art.